Students in the Internship Program take Italian language courses for 3 or 6 credits and a 3 or 6 credit unpaid internship placement. In addition, students choose one elective (if selecting the 6 credit internship) or two electives (if selecting the 3 credit internship) related to their internship. Each elective is 3 credits; see options below. Students may also choose an additional 1-credit optional Introduction to Italian Art course, taught primarily during the field trips to Naples and Florence. Students must register for all classes online at: www.richmondinrome.it. Designed to give students a deeper understanding of the role of drawing as an investigative process as well as an expressive means of communication. Drawing is used as a basic exploratory tool to examine Rome as the site for both subject—in particular, the river Tevere—and as a research resource for the practice of drawing—especially in the Roman churches, galleries and museums. The course is divided between working in the studio and on location in Rome. The sketchbook is an essential aspect of the course in helping students to document the city, stimulate and develop ideas and as a reminder that drawing is a portable medium. A studio fee is levied on this course. Recommended for Communications and Journalism majors as well as photographers, this course develops knowledge and experience in photojournalism via the study of the work of major practitioners and the production of assignments typical of today’s photojournalists. Students will need to provide a DSLR (digital reflex) camera and a laptop (with any basic photo editing software). There is a studio fee for this course. Examines developments in early Italian painting and sculpture leading up to the Renaissance and Baroque. Students analyze Italian art in its historical context, particularly in terms of patronage and the key social, religious and philosophical events. It is taught during field study visits, which include Florence, Pompeii, Naples and Capri. A field project paper is required. Examines the development of painting, sculpture and architecture in Renaissance and Baroque Italy through the works of Michelangelo, Raphael, Caravaggio and Bernini. Students examine key works, consider the historical and cultural context in which the art was produced and consumed. The course focuses on Rome and includes on-site visits. Examines the history and society of Rome and its architectural and artistic expression as it developed over a period of 3,000 years. Students study key examples of architecture, monuments and art from Classical Rome through to the Renaissance and Baroque, and the modern period. Much of the course is taught on-site with visits to churches, palaces and museums. Traces the multiple connections between the fashion and media industries. The course focus is on retail and visual merchandising. Students are involved in The Luxury Shopping Experience project to experience the way people consume luxury in Rome. Following clear, prearranged guidelines, they visit, examine, and report on selected fashion stores located along Via Condotti and Via Borgognona in Rome. This course introduces students to the concepts of project management relevant to the cultural industry. The theoretical basis will be applied to the industry of arts and culture. 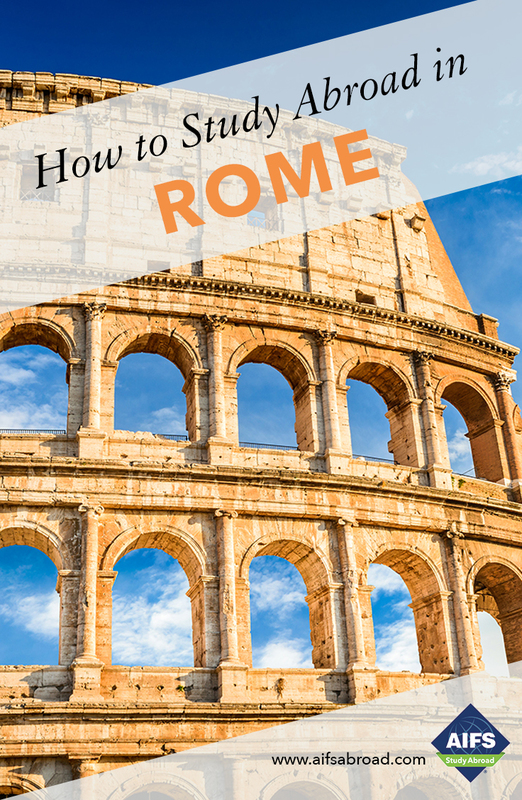 The course focuses on case studies that are related to Rome’s Cultural Heritage. Students will acquire knowledge, skills and competencies to understand the fundamental tenets of project management. The skills learned may also be applied to different international contexts. Explores the history of Italian cinema and society as represented in film, with particular focus on the wide range of films to emerge after the Second World War. Students study Italian cinema within the context of world cinema to assess realism as an aesthetic convention as well as gain insight into Italian culture and ways of thinking. Traces the multiple connections between the fashion and media industries. It emphasizes the material realities, pragmatic and creative dynamisms, fantasy components, and essential visuality of fashion. The course focus is on retail and visual merchandising. It addresses the question of relevance of the in-store consumer experience in response to the spread of e-commerce. In order to explore and evaluate possible answers to this question, students are involved in The Luxury Shopping Experience project. Following clear, prearranged guidelines, they visit, examine, and report on selected luxury stores located along Via Condotti and Via Borgognona in Rome. This allows students to experience at first hand the way people, including tourists, consume luxury in Rome. Introduces students to the principles and operations of marketing. Course work includes an in-depth analysis of the strategic role marketing plays in contemporary business from new product development, marketing research and target marketing to consumer behavior analysis, advertising and promotion and personal selling activities. Each variable of the marketing mix will be covered in detail and the macro and micro business environment will be assessed for their impact on marketing planning. Lectures, discussion topics, case studies, videos and practical exercises are used to cover the course material. This interdisciplinary course addresses the important and complex phenomenon of contemporary globalization. The political, social, economic and cultural aspects are addressed from a specifically European perspective. The course investigates the theories, structures and trends of management in organizations. The course covers topics such as the analysis of organizational environments, problem identification, opportunity analysis, decision making under uncertainty and the managerial functions of planning, organizing, leading and controlling. The course also addresses issues of sustainability. This course explores the history and practices of consumption in Italy, and the consumption of goods, products and services that have been encoded as “Italian” outside the country itself. The course looks at the transition to a consumer society and investigates areas such as advertising, fashion, industrial design, food culture and sport. The course includes on-site visits and field trips to major Italian companies. Covers the history of Rome from its reputed founding by Romulus and Remus to the establishment of the Roman Republic and the creation of the Roman Empire, leading up to conversion to Christianity and the appointment of the first Christian emperor. Much of the course is taught on-site with visits to archaeological sites, churches and museums. Explores food and food habits in human history from early civilization to the Modern period, via the Classical world and the Middle Ages. Themes such as the social function of banquets, dietary rules, food models, cultural identity and table manners are considered. The course includes on-site with visits to local food markets and museums. This course explores the history of the Italian Mafia from the national unification of Italy until the present day. Topics studied include relationships within the organization, those between the Mafia and Italian Politics, and those between the Italian and the American mafia. Covers the history of the European Union, from its foundation in the fifties until the present. It will look at the different institutions inside the European Union and their role in the process of enlarging the Union and moving towards greater integration. Although its initial aim was political unity, the European unification process has been strongly based on the ideal of economic integration. Thus the course will look at the positive and negative effects of economic and monetary union. Other policies of the member states will also be covered, including agricultural, regional, social, environmental, and energy policies. The inter-relationship between the different EU countries will be examined, as well as the relationship with other states, such as the US. Explores the monotheistic religions of the Near East (Judaism, Christianity and Islam), those of India and the Far East (Hinduism, Buddhism, and Taoism) and the ‘new-age’ faiths. The 322 | Scholarships available - see page 16 history and practice of each is studied. Special emphasis is laid on the philosophical and psychological basis of each religion and on common themes. Introduces students to international economic relations. These relations are relations of international trade, international production and finance as well as international development. The course is taught within the context of technology, politics and culture. Introduces students to the principles and operations of marketing. Course work includes an in-depth analysis of the strategic role marketing plays in contemporary business from new product development, marketing research and target marketing to consumer behavior analysis, advertising and promotion and personal selling activities. Lectures, discussion topics, case studies, videos and practical exercises are used to cover the course material. Covers the history of the European Union, from its foundation in the fifties until the present. It will look at the different institutions inside the European Union and their role in the process of enlarging the Union and moving towards greater integration. Other policies of the member states will also be covered, including agricultural, regional, social, environmental and energy policies. This interdisciplinary course explores the classical myths from Greek and Latin literature and considers their historical and cultural contexts. Students will read passages in translation from major Greek and Roman authors and analyze the use of mythology in classical literature and how it has changed through the ages. Visits to museums and archaeological sites are included in the course. Explores the most important literary works of classical antiquity in translation. Students will familiarize themselves with different literary genres and explore the basis of European literary culture. Site visits to the Ara Pacis, Crypta Balbi and to the National Museum of Palazzo Massimo complement classroom lectures. Focuses on the religious experience of Late Antiquity, which opened the way to medieval civilization and, eventually, to modern western culture. It examines the beliefs present within the Roman Empire (I – IV century A.D.), including the most significant religions, cults and mystical movements – a fascinating picture of this important historical period. Visits to museums and places of archaeological importance in Rome, will illustrate the connection between the material and the religious. Italy occupies a prominent place in the world’s culture, history, and thought. This course explores the history and practices of consumption in Italy, and the consumption of goods, products, and services that have been encoded as “Italian” outside the country itself. It analyzes aspects of consumption (broadly defined) via a social, cultural, artistic and anthropological approach. The course looks at the transition to a consumer society, and investigates areas such as advertising, fashion, industrial design, food culture and sport; it also examines the impact of consumerism on Italian identity formation and the construction of gender roles. The course includes on-site visits and field trips to major Italian companies. This course examines enduring and contemporary questions of security and insecurity in the international system. The course will feature the participation of Italian Carabinieri Police/Army Force, including anti-terrorist and special security units. Specific areas will be covered with the approach of “experience education”. This course examines enduring and contemporary questions of security and insecurity in the international system. Security has traditionally been defined in terms of strategic state politics and the use of military force to counter external military threats. The end of the Cold War and the ensuing conflicts of the late 20th century raised questions about the continued relevance of traditional theories of security. The course will feature the participation of Italian Carabinieri Police/Army Force, including anti-terrorist and special security units. Specific areas will be covered with the approach of “experience education” including: National Security, Investigation, Public Order, Public Health and Environment, Labor and Food Frauds, Cultural Heritage and Anti-Counterfeiting, and International Cooperation.